Aji R. Michael is a leading Career Strategist and Workplace Consultant who helps rapidly changing multigenerational workforce find greater professional satisfaction, by applying neuroscience based coaching to help them take charge of their careers, create the work they love, and, earn what they deserve. 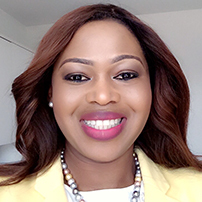 Known as a ‘Trusted Advisor’, Aji has shown hundreds of professionals at all levels how to get off the career treadmill and turn their career dreams into reality. Her Career Positioning System is a revolutionary system that teaches professionals, step by step, how to get off the slow lane and fast track their career in just 90 days! Aji has brought much-needed finesse to the fuzzy world of personal development, and she’s equally at ease with everyone from billionaires to the self starter. She is a trained leadership coach from the prestigious Henley Business School and Fellow of the Institute of Leadership and Management(ILM).